Hudson Craft, Senior Analyst on Asurion’s product team, started his Asurion journey as an intern focusing on data engineering. During his internship, Hudson learned his career goals led him on a different path. “I learned I preferred doing more product management work, than data engineering. Since Asurion understood where I wanted to go and valued my contributions, they put me in that position to drive my own career,” said Hudson. Eleni Chrysanthopoulos was an intern in our New Jersey office and after graduation, chose to move more than 800 miles away to our Nashville headquarters for a full-time job. “I enjoy how there’s always something new. It’s challenging and I like being challenged. If you put in the work and look for the opportunities, they’re definitely there.” Eleni said. 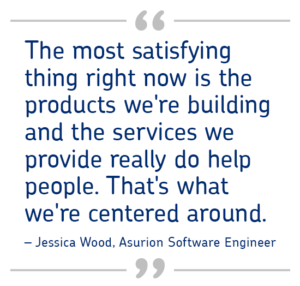 Jessica Wood has worked at Asurion for four years. As a software engineer, when she sees feedback on the products she’s helped develop it motivates her to want more. “The most satisfying thing right now is the products we’re building and the services we provide really do help people. That’s what we’re centered around. When you see those positive app reviews, or when you hear a user or one of our tech experts say that the jobs we created have changed their lives, it’s really rewarding. I think that’s the best part.” said Jessica. 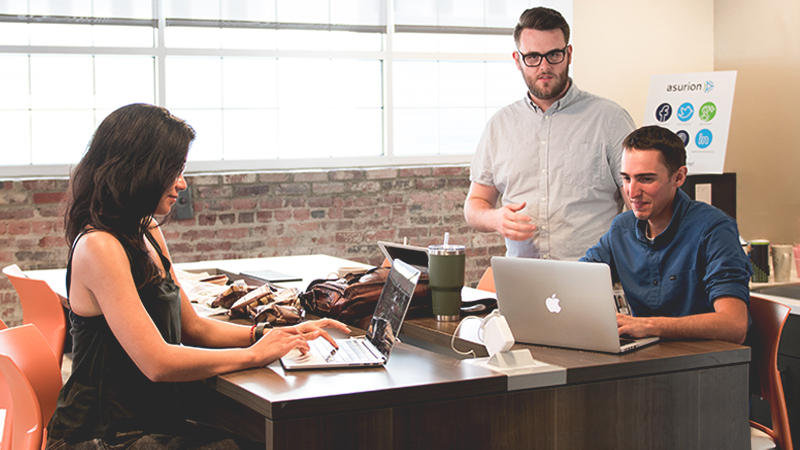 From product developers to our tech experts, our atmosphere encourages team members to bring their full self to work. 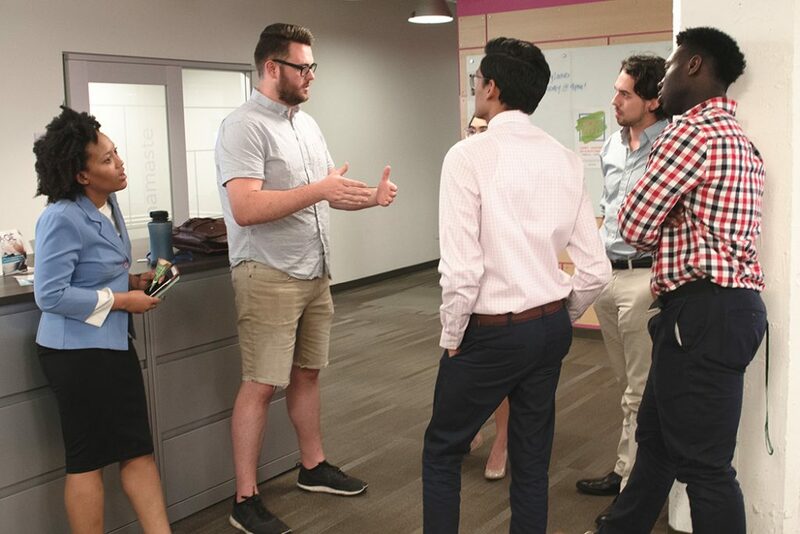 Asurion’s goal with our culture of inclusion is to unify employees/interns with common interests to network, mentor, problem solve and volunteer. The end result is a strong company culture driven to achieve common goals. 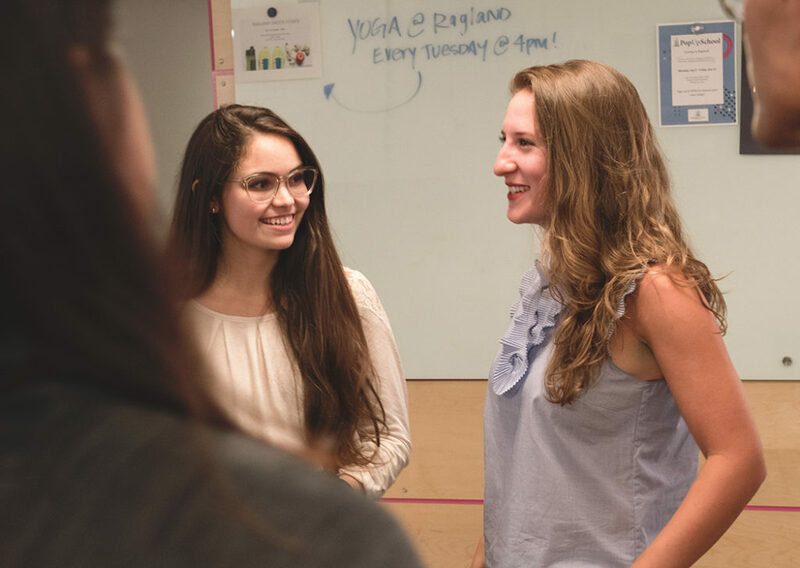 While the whole idea for internships is for students to gain real world experience, they also bring fresh thinking and innovation to our workplace and that goes a long way. At Asurion, we know our people are our greatest assets and we believe in putting them in the best position to advance their career and professional development. Interested in joining the team? Visit our university page to learn more and apply today.